Zvolen: From Defense, to Renaissance. Castle for all seasons. There is an older ruin of a castle at Zvolen, with an original area at its glory days, of some 175 acres — 7 hectares, at about 2.5 acres per hectare. It was finally burned by John Hunyadi in 1452. The Hungarian Hunyadi had fostered Vlad Tepes, Dracula, a captivity really in order to secure the performance of Vlad’s father in a treaty arrangement — see Hunyadi’s castle in Romania at http://romaniaroadwaysvladtepes.blogspot.com/2006/08/hunedoara-johan-hunyadi-vlad.html. Its importance was eclipsed despite rebuildings, when a new castle was built in the town. This area of Slovakia was part of northern Hungary at the time. 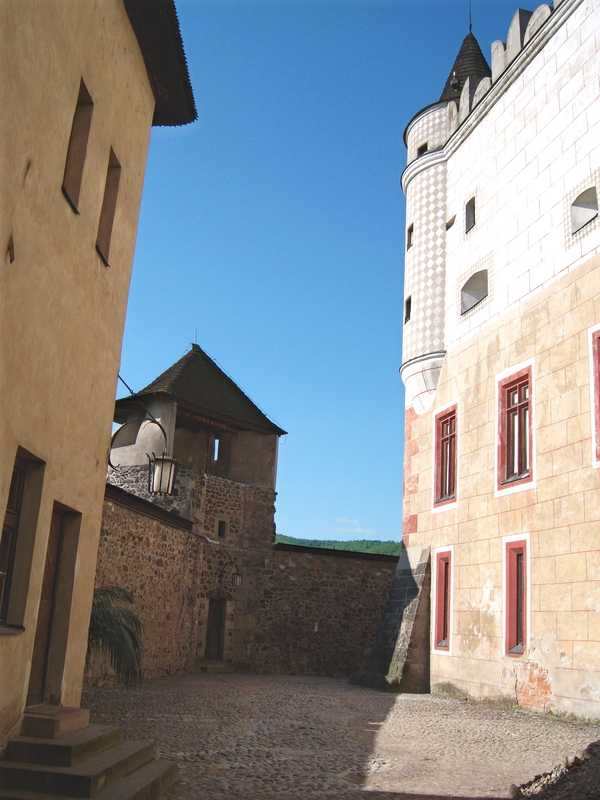 Castle at Zvolen, Slovakia. 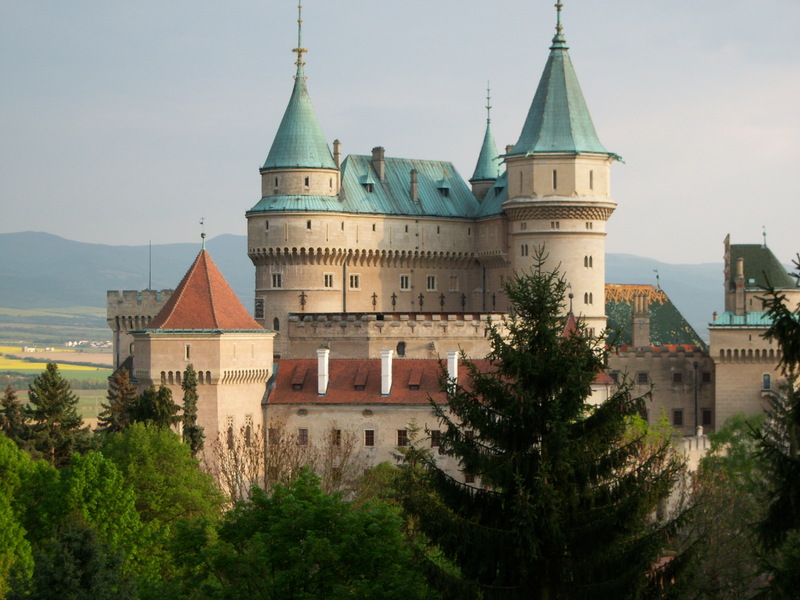 Many castles in Slovakia remain rugged fortresses, to defend against the many invaders — Turks, Tatars. 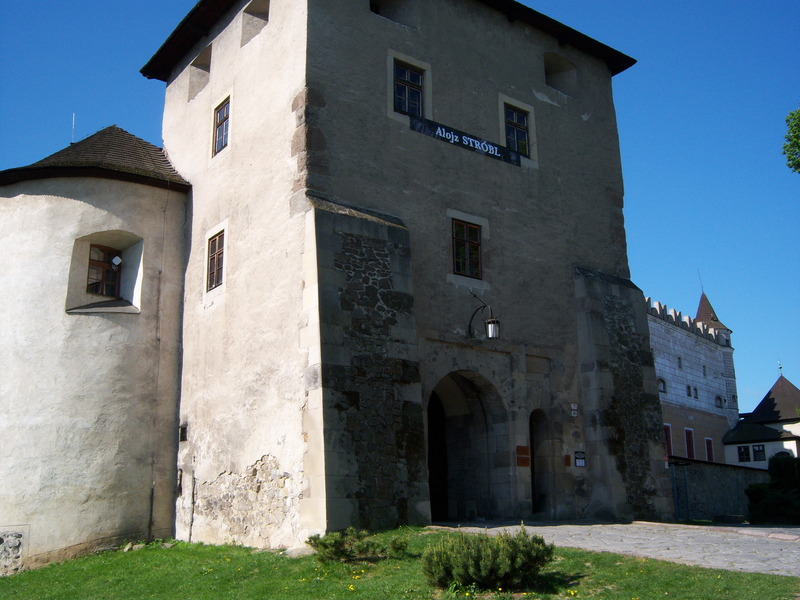 Zvolen Castle, from rugged defense needs, to the Renaissance. See video at http://www.youtube.com/watch?v=6R0AAIoK9-Q. You may want to turn down the sound a little. History of migrations: The sequence of settlers in this Central Slovakian era extend back to prehistoric miners in about 2000 BCE, then Lusatians, closely connected to the Nordic Bronze Age, then the Celts, here in 300 BCE, and Germanic tribes in the Roman era. A large Slavic settlement arose in about 800 CE, and it became incorporated into Hungary. Saxons moved in, in the 12th Century. Progressive capitalism: In 1494, a forward-looking early capitalist copper mining company there (yes, a company) established benefits for workers including health care: the Ungarischer Handel, or Hungarian Trade Company. Architecture: The castle is painted to show its three stages: red and white for gothic, and baroque in yellow, then the onion spire. The tall pedestal statue is a Plague Column. These were erected over much of Europe in gratitude for surviving the Black Death as it would recur, and pray for deliverance from the next onslaught. 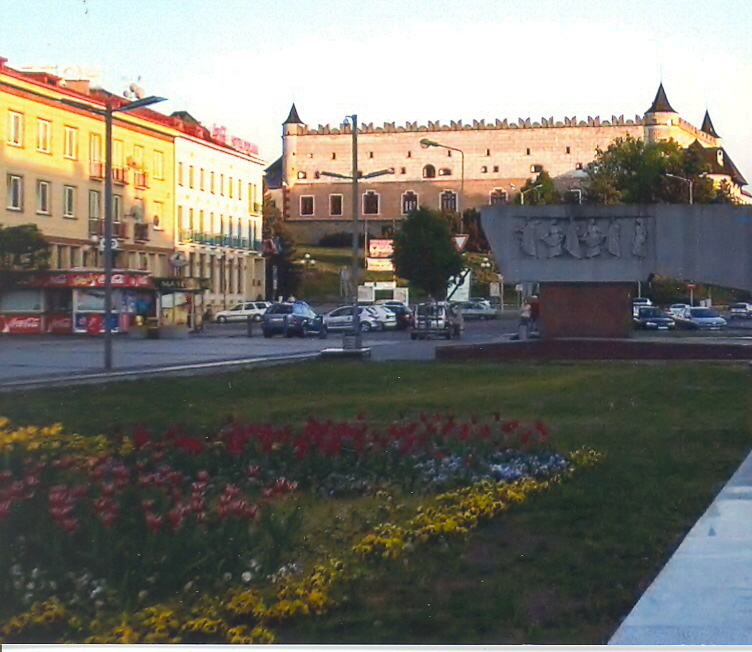 Banska Bistrica, Slovak National Uprising Square, Slovakia. 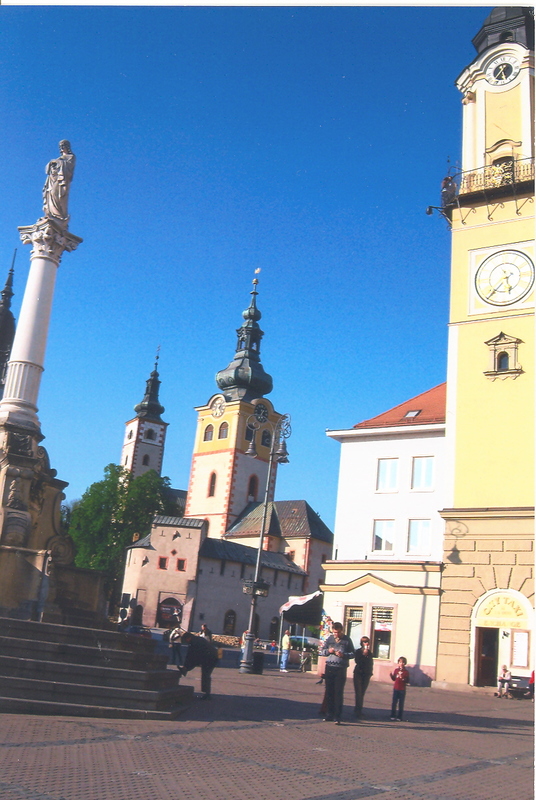 Banska (mine) and Bistrica (swift stream) suggest the history of this town, with its first permanent settlement dating from the 9th Century. The clock tower dates from 1552. It leans somewhat, like Pisa — this photo needs to be tilted back so that the plague column and barbican castle spire are straighter, and then the tilt of the clock tower would show more accurately. For now, tilt your head. 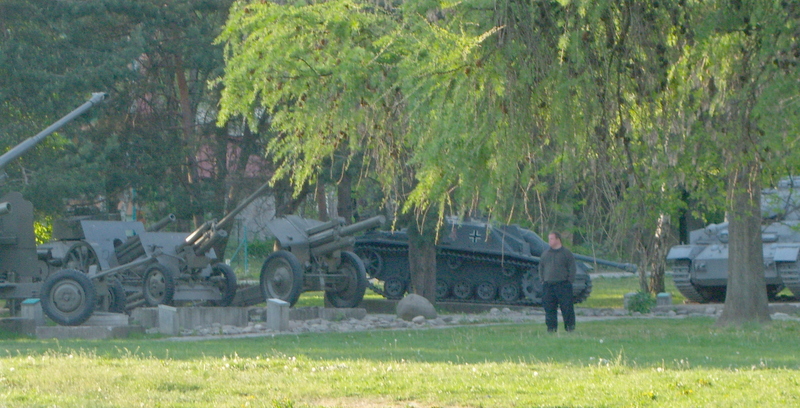 Soviet planes and tanks helped liberate Slovakia, along with partisans of many nations, Slovaks, Poles, Czechs, Hungarians. 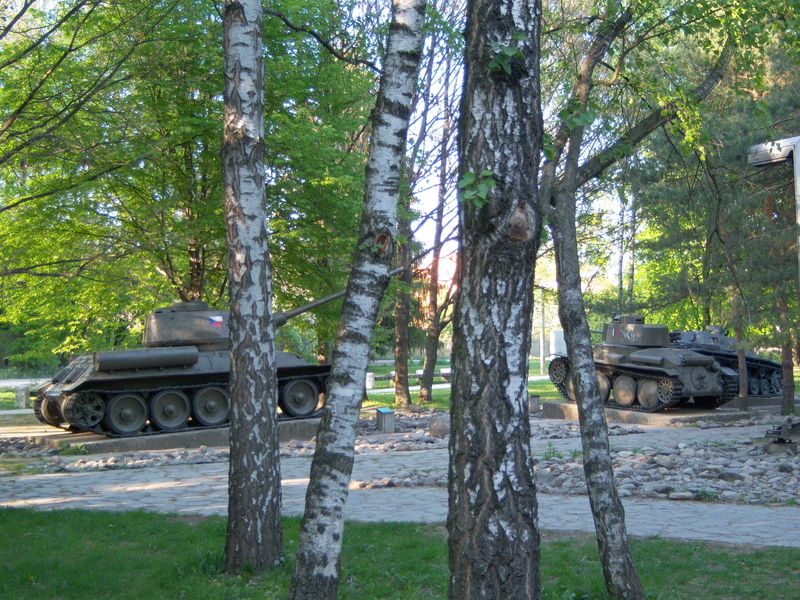 Museum of the Slovak National Uprising, WWII, Banska Bistrica, SK. Tanks in the woods 1944. Partisans from many nations including Britain, Canada and the United States, joined Slovaks, Soviets, Hungarians, Czechs, Poles in resisting the Nazis strongly here. See http://www.historvius.com/museum-of-the-slovak-national-uprising-1584/. Where to stay at a new place? Drive to the center of the Old Town, or nearest the biggest attraction (here, Bojnice Castle). You are bound to find a place with room. Parking is safer, we think, in the middle of the activity, and we never want to drive after dark. Stop and do not go until morning. We have always felt safe, the accommodations clean. At Bojnice, there is a fine and reasonable hotel so in we went, more elegant than our usual fare. Fast food. We haz sauzage! 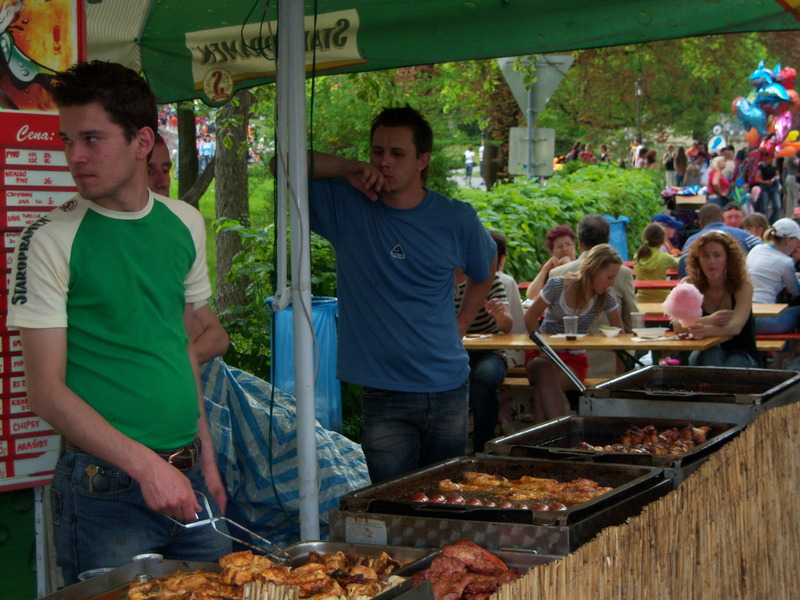 Just outside is the street fair – an ongoing enterprise. 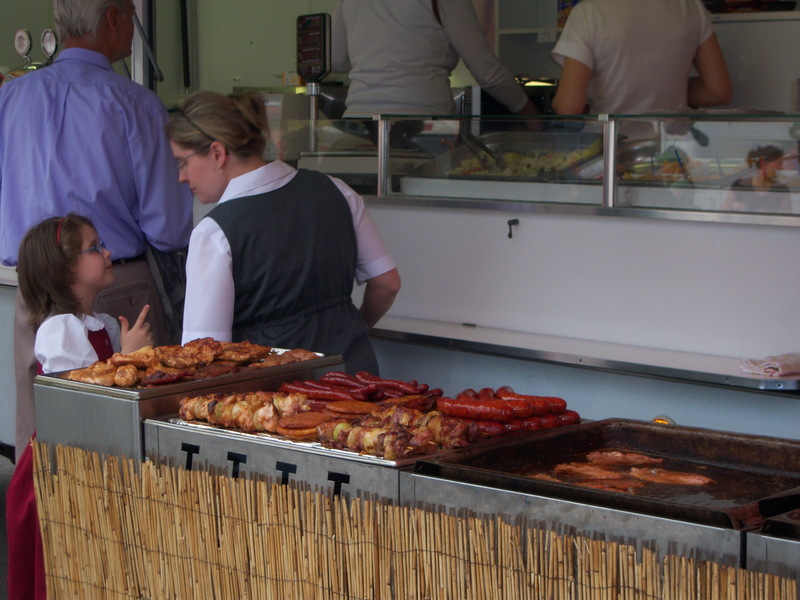 Food trucks, grilling chicken halves, sausage ropes, breads toasty. Skip eating at the hotel or in a restaurant — wander down the food streets and point. These are family businesses, often migrating all summer from fair to fair. Some look permanently anchored for the season. Bojnice Castle, fast food. Slovakian chicken: no jammed chicken farms, we were told. These drums are from creatures that walked and pecked and flapped their lives long. It makes a huge flavor difference. This is chicken?? The nature park. The zoo. An escape from the lines and food and a place to walk off overindulging. Bojnice Castle, Park. The zoo stays open late, so if you miss the last tour through the castle itself, or overate at the street fair, amble uphill in the dusk, and enjoy. 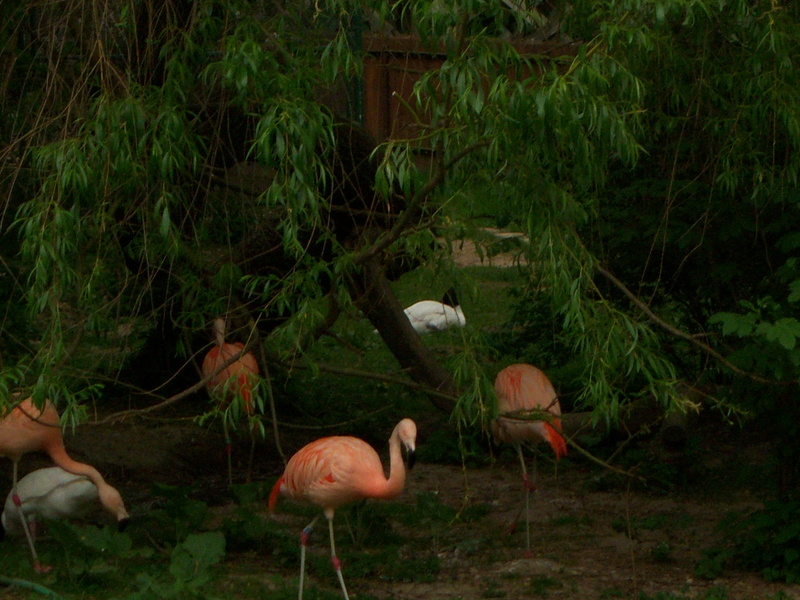 The zoo is more like a park, with twisting pathways. Ready your translate button, and see http://www.zoobojnice.sk/ This is the oldest zoo in Slovakia, and protects endangered species as well as caring for animals and birds worldwide. Bojnice Castle SK. First, hear the tom-toms. Then see up-down BOOM boomboomboom BOOM boomboomboom circle dance movements. The mythical Old West? No matter if these are South American, no English, appearing Peruvian perhaps. No complaints about the provenance of these musicians, their claim to the North American West. Who else is to know? The CD for sale turned out to be a meditation tape of something. Regardless of authenticity, it is nice music and people need to earn a living. No harm done, that we could see. And educational in its way. Kids love feathered headdresses. So do we. Go inland, family, go inland. The 19th century history of the castle is reenacted by young people every summer at Bojnice Castle, Slovakia. Dance, narration, move room to room and follow the story. The cruise ships passing through Slovakia party down the Danube, dock at Bratislava, with its old town and castle on the hill. End of sentence. Everybody going down the Danube sees that. 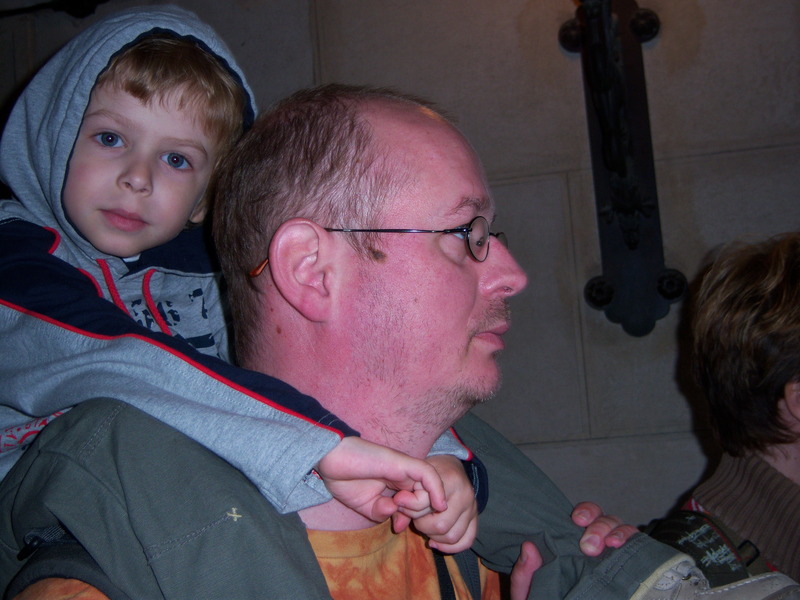 Take time off the ship, especially if you have children. Go inland, and then back on the next ship at Bratislava. 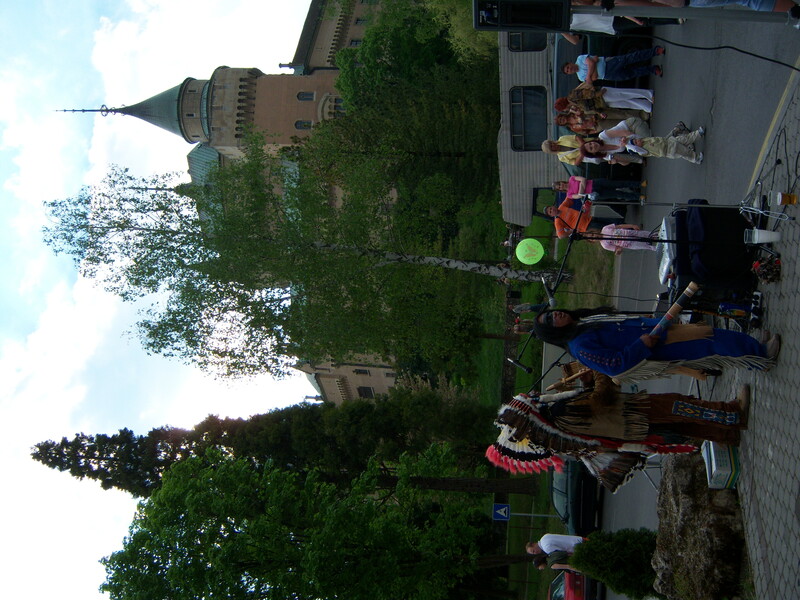 Rent a car and go to Bojnice: every summer there is constant street party, zoo, castle, and at the castle, a young people’s drama of the 19th century history — in tableau. There will be costume, dance, narrator, go through the doors and through the rooms, and the young people act out the tale of sad, unrequited love, the effort to recreate the French Loire Valley, and lure the lady. The International Festival of Ghosts and Spirits, every May. Each year, we understand, focuses on a different phase of its history, see http://www.bojnicecastle.sk/kalendar-en.html. Bojnice Castle, Slovakia. 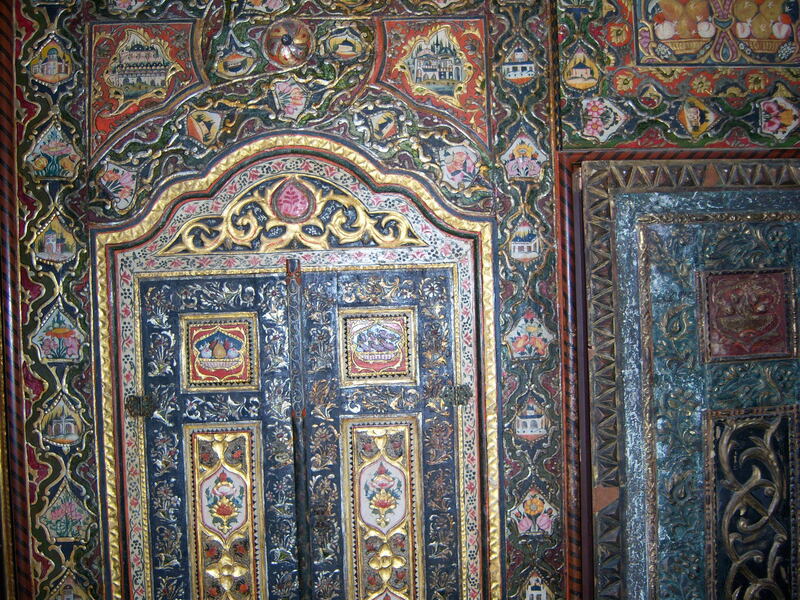 Ancient doors. Old, old hinges still work. Our year: unrequited love! and death. 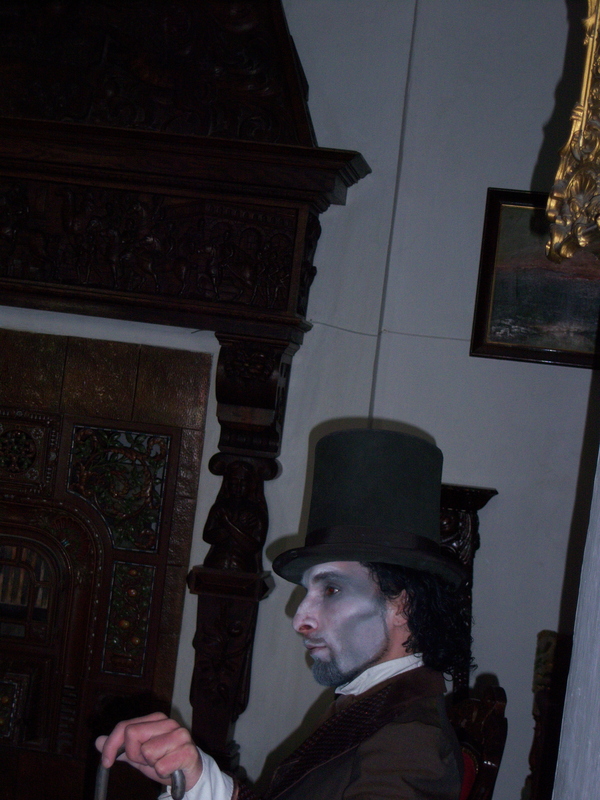 Buy your ticket, groups pass through the rooms of tableaux and narration in small groups, hushed steps to the next scene, next room, in the dark inside. 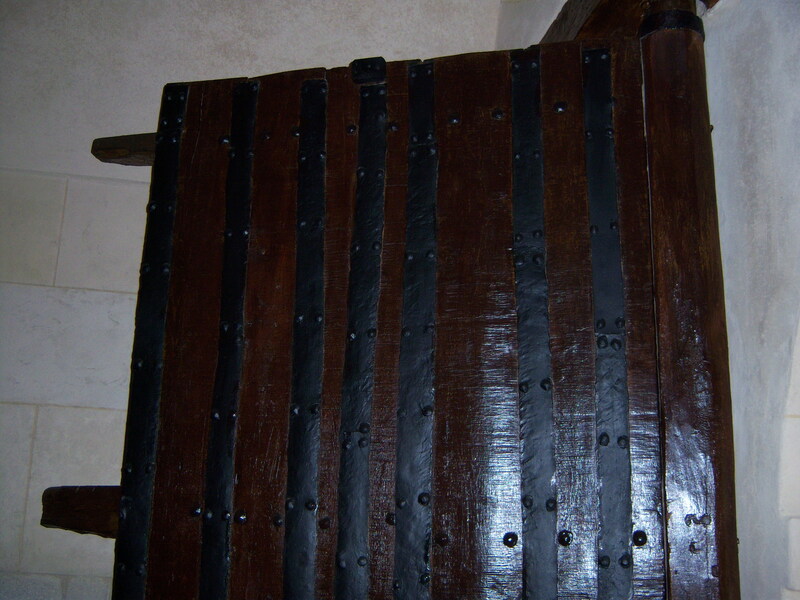 Bojnice Castle, Slovakia: Full of centuries of art, wall treatments, furnishings. Bojnice Castle, Slovakia. 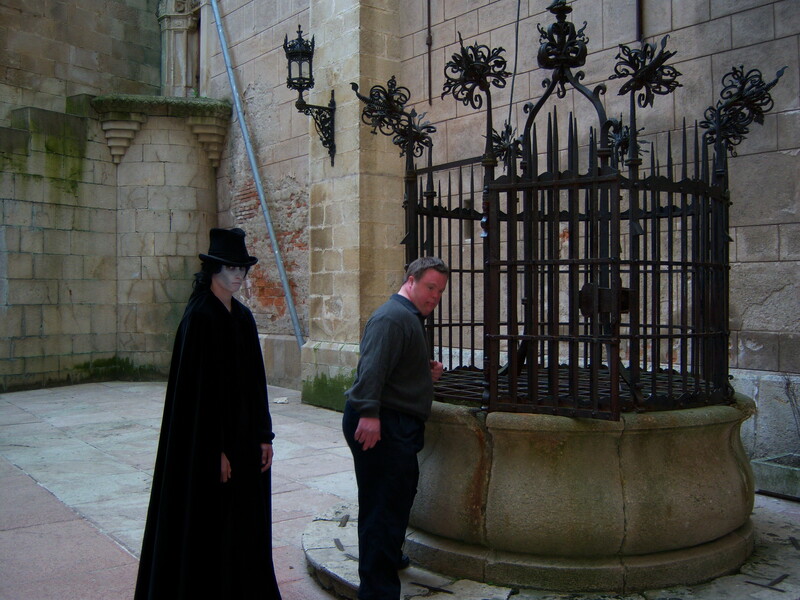 The Ghost glides about the castle, pursuing even the hapless tourist looking down the well. Dan Widing dares not look. All the ghost wanted was his love to join him in the castle he recreated as a French dream, for her. It did not work out. Bojnice Castle. 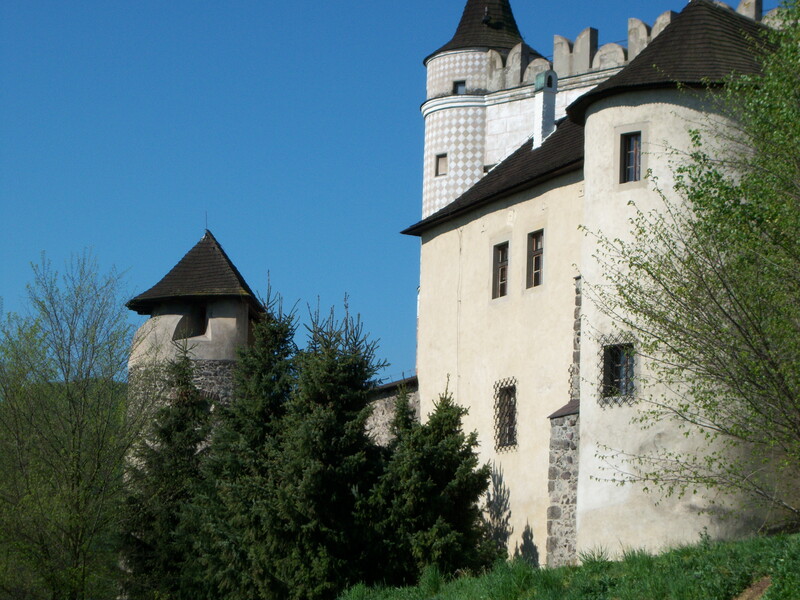 Not Boj-NEETS Castle, but BOY-neet-sa Castle, near the city of Prievidza, Trencin region. A visit here combines history with a summer youth theater festival — of the originating story in tableau and narrative, There is a zoo, and a street fair ongoing. Not to be missed. How to get there if you cannot say the name? Most travel books have a basic pronunciation guide: master the basics to speed getting directions. 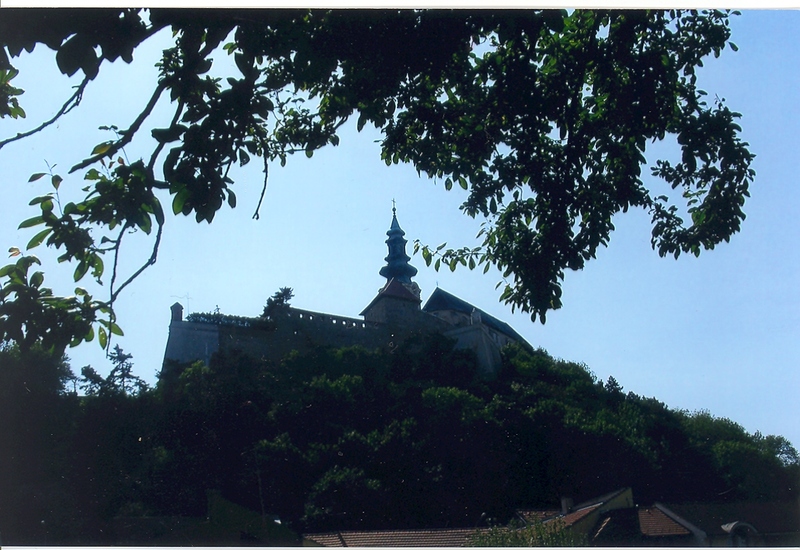 It dates from the decline of the Great Moravian Empire, with Slavs fleeing to remove valleys invading Hungarians, and building mountaintop fortresses and castles; and to the 1100’s, when Benedictine monks acquired it; connected to Zobor Abbey at Nitra. Slovakia had been known as Northern Hungary. Note I am direct linking again, to resource URL’s. If this is a problem, WordPress, please let me know. Side trip into Austria directly to the south. We took a sudden side trip to Vienna instead of going directly to Bratislava, just because it was there. Finally to Bratislava Slovakia, to the East. Back to Slovakia, entering much farther to the east, on rural roads. Because of the series of destructions of castles and cities, some background of Slovakian history can help. Find http://www.slovak-republic.org/castles. The ruling groups are confusing at first. See http://www.slovak-republic.org/history/great-moravia/ to appreciate the 9th century Great Moravian Empire blanketing the entire area. As it crumbled, the Magyars entered from Hungary, pushing Slavs deeper and deeper — until the “West Slavs” became the identifier of the region. Fighting — Magyars and Franks, and Slavs, – were Magyars rooted in Mongols? 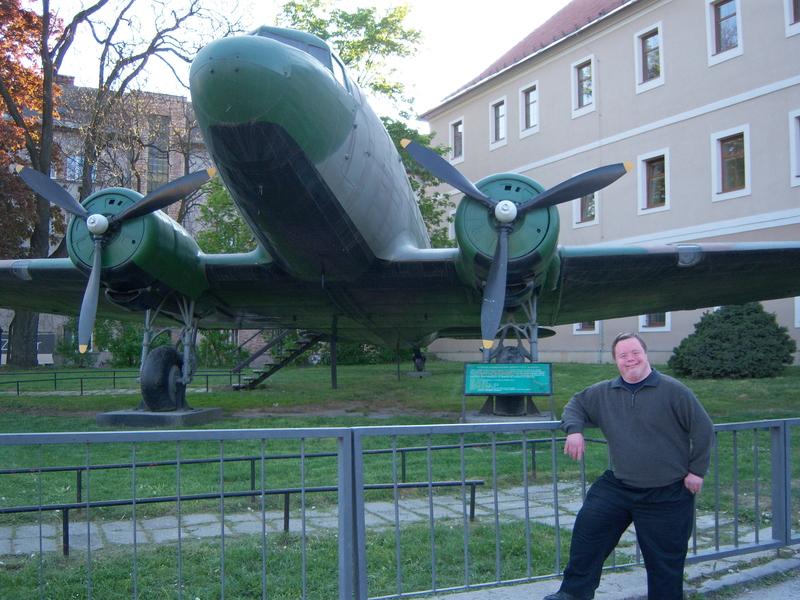 this sits so suggests, see http://www.heartofeurope.co.uk/history_slovakia5.htm. Mongols, Tatars, invaded in the 12-13th Centuries. 3. 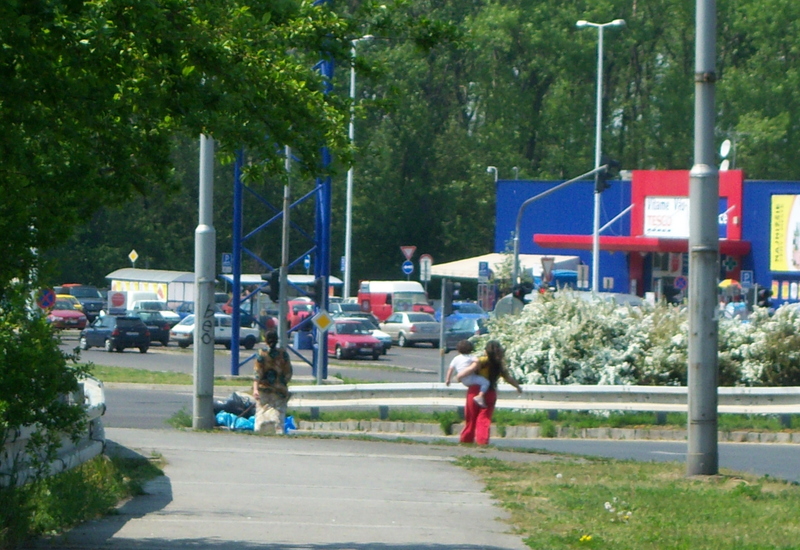 Re-entering Slovakia — off the usual routes. That side trip to Budapest meant re-entering Slovakia farther east, and by secondary roads. A jolt back to the modern world was finding a road sign in very rural Slovakia, in English, pointing up an endless dirt road with a forest on one side, fields on anther, to a S _ _ Farm, again, in English. Girls, women, any way out? Do not slow down, do not take a picture, keep driving, and think of global human trafficking. Gypsies, Roma, Romani, in the British Isles known as Travelers, in Slovakia they live in poverty and with devastating discrimination. The Roma live in areas usually separate from town, outside town limits. The poverty is extreme. See Roma issues there and in other countries, at Gypsies, Roma, Romani, Romanichal.